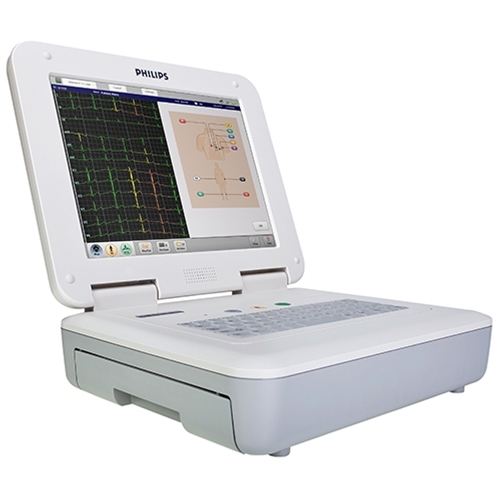 The Philips PageWriter TC70 is a cardiograph that simplifies diagnostic ECG/EKG testing and streamlines workflow. It features a 15-inch touchscreen, illuminated buttons, and color-coded signal quality indicators. The Philips TC70 automates workflow by acquiring, printing, saving, transferring, and retrieving ECG/EKG data through wired and wireless connectivity. Easy 1-2-3 operation with 15-inch touchscreen. Automated workflow with one button push viva XML, HL7, and native industry-standard DICOM. Clinical decision support with exceptional 18-lead DXL Algorithm. The TC70 automatically displays Critical Value summary statements boldly on screen and printed ECG reports so caregivers can determine the need for urgent care. Questions about our ECG/EKG Machines? 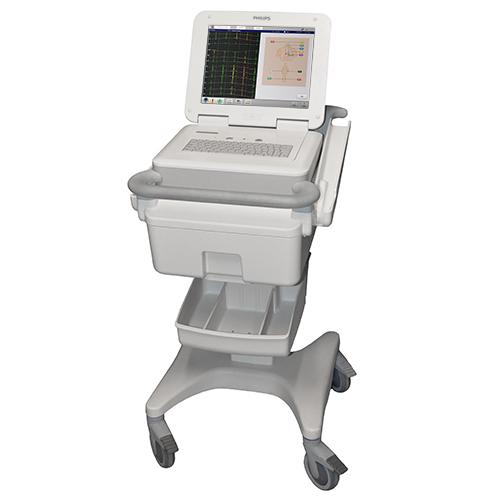 Soma Technology, Inc offers a wide range of ECG/EKG cardiographs. If you have any questions about any of our cardiographs or need a quick quote, call 1-800-GET-SOMA and one of our knowledgeable sales representatives will help you.